Friends of the Earth are extremely disappointed to learn that ESB and Electric Ireland will no longer be paying new renewable energy generators for the electricity they produce. Electric Ireland was the only utility in Ireland which bought renewable electricity from its customers. The payment was offered for surplus electricity generated from wind, solar, combined heat and power and hydro. The scheme will close to new applicants at the end of the year, so from 2015 citizens who want to generate and sell renewable electricity will not be able to. ‘As a society we need to transition to a renewable future. This transformation will only be successful with the involvement of all of the people of Ireland. The current energy policy is to support big developers to build big wind farms. This alone is not sustainable. We need a mix of technologies, particularly local generation and local usage. With the ending of payments for citizen and locally generated renewable energy, the people of Ireland are essentially being blocked from entering this market. Irish micro generation rates are amongst the lowest in Europe. With only 5 MW of installed capacity, there is huge potential for this industry to grow. While the costs of micro installation have reduced significantly in recent years, particularly for solar electricity, the economics only make sense if you can sell your surplus electricity to the grid as it is produced, and buy it when you need more than you produce. There were a number of problems with the Electric Ireland scheme – it wasn’t available for industry, it was never guaranteed and the price of 9c/kwh which was available is roughly only half the retail price meaning it was still economically challenging for householders to make it work. In the UK, rates for micro electricity generation are closer to 18p(23c)/kwh and there is also a payment for local generation of renewable heat. With no such payments available now in Ireland, it is likely that the micro generation industry will completely stall. ‘The Electric Ireland scheme was a voluntary scheme and the only one of its kind in Ireland. Its closure highlights the significant barriers and complete lack of support for individuals and communities to get involved in renewable energy. Friends of the Earth is calling on the Government to introduce a mandatory payment for all producers of renewable electricity, big and small, at a price that is fair for both consumers and generators. For an individual, community, business or industry that wants to reduce its carbon emissions, the easiest thing to do should be to generate solar electricity from your roof. Sadly this is no so here in Ireland. With solar levels roughly 80% as good as Madrid, and comparable to levels across Northern Germany, it is madness, but not surprising that solar electricity only represents 0.3% of electricity produced in Ireland, or about 1 MW. In the UK they have 3,400 MW of solar electricity installed, much of it on the roofs of peoples’ homes. Micro generation figures are published in the Irish Wind Energy Association of Ireland (2014) Wind Micro generation step by step guide. The statistics are from ESB networks, September 2014. Posted by kingstonrenewableenergy on November 26, 2014 in News, hydro related, News, wind related, Other renewable energy news, What the Government is doing and tagged Electricity Market Reform, FIT, renewable energy news. 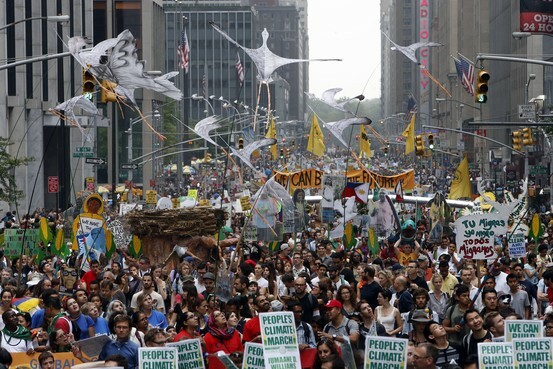 310,000 estimated to have participated in New York climate change march! 310,000 figure has now been recalculated at 400,000. 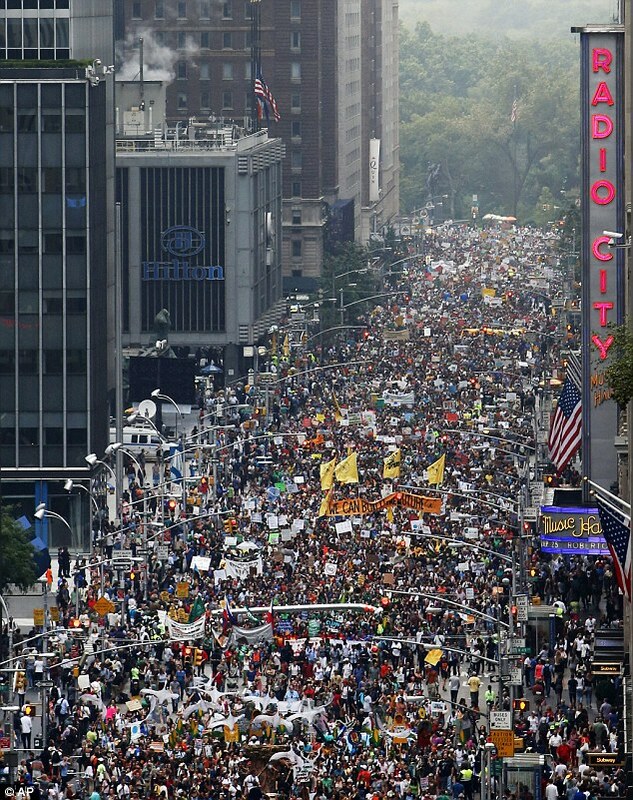 Regardless, depending on what news service you follow there were between 100,000 and 400,000 people at the climate change march in New York. We even managed a modest crowd in St Stephens Green to mark the occasion of the meeting of the worlds leaders. 200 countries will attend and the message they are getting on their emission reduction programs is clear- Not enough and too slowly! 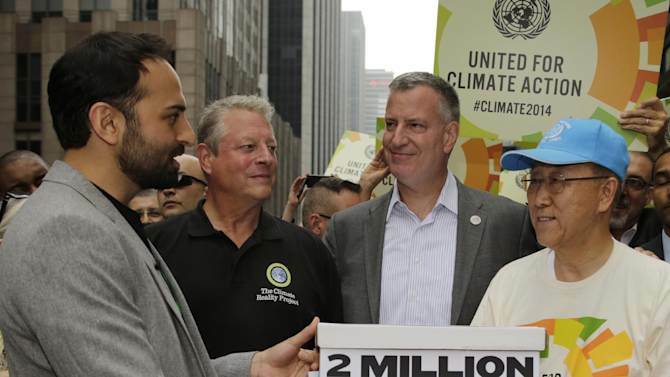 By the way, that petition I asked you to sign was delivered to UN Secretary General Ban ki-Moon at the People’s Climate March in New York City on Sunday. It contained 2.1 million signatures. Posted by kingstonrenewableenergy on September 24, 2014 in Climate change and tagged climate change, New York, UN Secretary General Ban ki-Moon. I have been asked for a little extra background information on the recently leaked IPCC report. Posted by kingstonrenewableenergy on September 18, 2014 in Climate change, Other renewable energy news, Press, editorials, magazine articles and tagged climate change report, insideclimatenews, IPCC, Reuters, Salon, The Guardian. If the ozone hole had been discovered ten years later, governments are likely to have done nothing. This is what’s happening with manmade climate change. The obvious solution, in fact the only real and lasting solution, is to decide that most fossil fuel reserves will be left in the ground, while alternative energy sources are rapidly developed to fill the gap. Everything else is talk. But not only will governments not contemplate this step, they won’t even discuss it. They would rather risk mortal injury than open the gate. The same applies to biodiversity, fisheries, neonicotinoid pesticides and a host of other issues affecting the living planet: negotiators have tried to work their way under, over and through the gate, while ensuring that the barrier remains in place. It wasn’t always like this. There was a time when they took their hands out of their pockets. This week the UN revealed that the ozone layer is recovering so fast that, across most of the planet, it will be more or less mended by the middle of the century. Ozone is the atmospheric chemical that blocks ultraviolet-B radiation, protecting us from skin cancer and from damage to our eyes and immune systems, and protecting plants from destruction. It’s coming back, and this is a great advertisement for active government. Like manmade global warming, the problem was forecast before it was observed. In the case of global warming, Svante Arrhenius predicted in 1896 that the “carbonic acid” (carbon dioxide) produced by burning fossil fuels was sufficient to raise the global temperature. In 1974, before any noticeable issues had arisen, the chemists Frank Rowland and Mario Molina predicted that the breakdown of chlorofluorocarbons – chemicals used for refrigeration and as aerosol propellants – in the stratosphere would destroy atmospheric ozone. Eleven years later, ozone depletion near the South Pole was detected by the British Antarctic Survey. The action governments took was direct and uncomplicated: ozone-depleting chemicals would be banned. The Montreal Protocol came into force in 1989, and within seven years use of the most dangerous substances had been more or less eliminated. Every member of the United Nations has ratified the treaty. This was despite a sustained campaign of lobbying and denial by the chemicals industry – led by Dupont – which bears strong similarities to the campaign by fossil fuel companies to prevent action on climate change. “will have prevented 2 million cases of skin cancer annually by 2030″. There are still issues to resolve. Earlier this year, scientists detected four new ozone-depleting chemicals in the atmosphere, which are likely to be either industrial feedstocks or black market products. There will always be cheats and freeloaders, but the treaty can keep evolving to address new threats. Since then, this doctrine has caused financial crises and economic collapse, the destruction of livelihoods, mountainous debt, insecurity and the devastation of the living planet. It has, as Thomas Piketty demonstrates, replaced enterprise with patrimonial capitalism: neoliberal economies rapidly become dominated by rent and inherited wealth, in which social mobility stalls. But despite these evident failures, despite the fact that the claims of market fundamentalism have been disproven as dramatically as those of state communism, somehow this zombie ideology staggers on. Were the ozone hole to have been discovered today, governments would have announced talks about talks about talks, and we would still be discussing whether something should be done as our skin turned to crackling. Tackling any environmental crisis, especially climate breakdown, requires a resumption of political courage: the courage just to open the sodding gate. Posted by kingstonrenewableenergy on September 14, 2014 in Climate change, Personal rants, What the Government is doing and tagged George Monbiot, Montreal protocol, Political Straightjacket. On Sunday, September 21st, just days before a landmark climate summit at the UN, people around the world are taking part in a People’s Climate March. World leaders including the Irish government don’t believe enough of us care about climate change, that’s why they’re still not yet rising to the challenge of saving our planet. But on September 21, we have an unprecedented chance to prove them wrong, with the largest climate mobilisation in history. Kingston Renewable Energy appeals to everyone to show up and help send a clear message- Government inactivity, lack of policy and effective measures is just not good enough! Posted by kingstonrenewableenergy on September 9, 2014 in Climate change, Other renewable energy news, What the Government is doing and tagged climate change, Kyoto, protest march. Climate Breakdown, How governments bemoan the problem but keep stoking the fires. Already, a thousand blogs and columns insist that the Intergovernmental Panel on Climate Change’s new report is a rabid concoction of scare stories whose purpose is to destroy the global economy. But it is, in reality, highly conservative. Reaching agreement among hundreds of authors and reviewers ensures that only the statements which are hardest to dispute are allowed to pass. Even when the scientists have agreed, the report must be tempered in another forge, as politicians question anything they find disagreeable: the new report received 1855 comments from 32 governments(1), and the arguments raged through the night before its launch(2). What the report describes, in its dry, meticulous language, is the collapse of the benign climate in which humans have prospered, and the loss of the conditions upon which many other lifeforms depend. 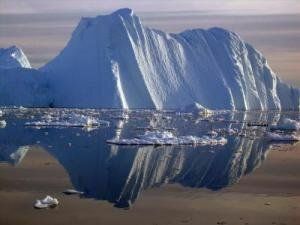 Climate change and global warming are inadequate terms for what it reveals. The story it tells is of climate breakdown. This is, or so it seems, a catastrophe we are capable of foreseeing but incapable of imagining. It’s a catastrophe we are singularly ill-equipped to prevent. The IPCC’s reports attract denial in all its forms: from a quiet turning away – the response of most people – to shrill disavowal. Despite – or perhaps because of – their rigours, the IPCC’s reports attract a magnificent collection of conspiracy theories: the panel is trying to tax us back to the stone age or establish a Nazi/Communist dictatorship in which we are herded into camps and forced to crochet our own bicycles. (And they call the scientists scaremongers …). In the Mail, the Telegraph and the dusty basements of the internet, today’s report (or a draft leaked a few weeks ago) has been trawled for any uncertainties or refinements that could be used to discredit the process(4,5). The panel reports that on every continent except Antarctica, manmade warming is likely to have made a substantial contribution to the surface temperature(6). So those who feel threatened by the evidence ignore the other continents and concentrate on Antarctica, as proof that climate change caused by fossil fuels can’t be happening. They make great play of the IPCC’s acknowledgement that there has been a “reduction in surface warming trend over the period 1998–2012”(7), but somehow ignore the fact that the past decade is still the warmest in the instrumental record. They manage to overlook the panel’s conclusion that this slowing of the trend is likely to have been caused by volcanic eruptions, fluctuations in solar radiation and natural variability in the planetary cycle. Were it not for manmade global warming, these factors could have made the world significantly cooler over this period(8). That there has been a slight increase in temperature despite them shows the extraordinary power of the human contribution. But denial is only part of the problem. More significant is the behaviour of powerful people who claim to accept the evidence but keep stoking the fires. This week the former Irish president Mary Robinson added her voice to a call that some of us have been making for years: the only effective means of preventing climate breakdown is to leave fossil fuels in the ground(9,10). Press any minister on this matter in private and, in one way or another, they will concede the point. Yet no government will act on it. This is an example of the way in which all governments collaborate in the disaster they publicly bemoan. They claim to accept the science and to support the intergovernmental panel. They sagely agree with the need to do something to avert the catastrophe it foresees, while promoting the industries that cause it. But, far from doing so, governments everywhere are still seeking to squeeze every drop out of their own reserves, while trying to secure access to other people’s. As more accessible reservoirs are emptied, energy companies exploit the remotest parts of the planet, bribing and bullying governments to allow them to break open unexploited places: from the deep ocean to the melting Arctic. And the governments who let them do it weep sticky black tears over the state of the planet. Posted by kingstonrenewableenergy on September 3, 2014 in Climate change, What the Government is doing and tagged climate change, George Monbiot, IPCC, The Guardian. This week, a big report from the UN’s Intergovernmental Panel on Climate Change was leaked before publication, and it confirmed, yet again, the grim—dire, frightful—reality the we face if we don’t slash our global greenhouse gas emissions, and slash them fast. This “Synthesis Report,” to be released in November following a UN conference in Copenhagen, is still subject to revision. It is intended to summarize three previous UN climate publications and to “provide an integrated view” to the world’s governments of the risks they face from runaway carbon pollution, along with possible policy solutions. As expected, the document contains a lot of what had already been reported after the three underpinning reports were released at global summits over the past year. It’s a long list of problems: sea level rise resulting in coastal flooding, crippling heat waves and multidecade droughts, torrential downpours, widespread food shortages, species extinction, pest outbreaks, economic damage, and exacerbated civil conflicts and poverty. Here are five particularly grim—depressing, distressing, upsetting, worrying, unpleasant—takeaways from the report. To keep warming below this limit, our emissions need to be slashed dramatically. But at current rates, we’ll pump enough greenhouse gas into the atmosphere to sail past that critical level within the next 20 to 30 years, according to the report. We need to emit half as much greenhouse gas for the remainder of this century as we’ve already emitted over the past 250 years. Put simply, that’s going to be difficult—especially when you consider the fact that global emissions are growing, not declining, every year. The report says that to keep temperature increases to 3.6 degrees Fahrenheit, deep emissions cuts of between 40 and 70 percent are needed between 2010 and 2050, with emissions “falling towards zero or below” by 2100. The report says that in every warming scenario it the scientists considered, we should expect to see year-round reductions in Arctic sea ice. By 2050, that will likely result in strings of years in which there is the near absence of sea ice in the summer, following a well-established trend. And then there’s Greenland, where glaciers have been retreating since the 1960s—increasingly so after 1993—because of man-made global warming. The report says we may already be facing a situation in which Greenland’s ice sheet will vanish over the next millennium, contributing up to 23 feet of sea level rise. The report finds that by 2100, the devastating effects of sea level rise—including flooding, infrastructure damage, and coastal erosion—will impact the vast majority of the world’s coastlines. That’s not good: Half the world’s population lives within 37 miles of the sea, and three-quarters of all large cities are located on the coast, according to the United Nations. The sea has already risen significantly: From 1901 to 2010, global mean sea level rose by 0.62 feet. Posted by kingstonrenewableenergy on September 3, 2014 in Climate change, Uncategorized or general stuff and tagged Arctic, emmissions, glacier retreat, Global warming, greenhouse gas, ice, James West, leak, species extinction, Synthesis Report, UN climate report. Hydroelectric power returns to England’s Cragside estate, an aspiration for An Taisce? The world’s first home to be lit by hydroelectricity is once again being powered by water following the installation of a new Archimedes screw turbine at England’s Cragside estate. Lord William Armstrong first begin using water from the estate’s five lakes to generate power in late 1870s, bringing Cragside’s story full-circle, according to the National Trust, which has curated the site since 1977. Water for the new Archimedes screw will be drawn from Tumbleton Lake, which is the lowest of the estate’s reservoirs. The water will turn a17-meter long galvanized turbine that will produce about 12 kW of energy, or, the National Trust said, enough to power all of Cragside’s 350 light bulbs over the course of a year. The organization said it chose an Archimedes screw design not only for its ability to generate power at a low speed, but for its ability to allow for safe fish passage. The Cragside project is part of the National Trust’s initiative to power each of its 43 historic properties with renewable energy. Posted by kingstonrenewableenergy on August 27, 2014 in News, hydro related, Other renewable energy news and tagged Andrew Sawyer, Cragside estate, Lord William Armstrong, National Trust UK, Sarah Pemberton, Tumbleton Lake. Researchers from the University of Leicester and High Efficiency Heating UK Ltd. are hoping to use satellite data as a means of simplifying the process of locating sites for micro hydro projects. The partners were awarded a US$201,550 grant from the UK’s Technology Strategy Board for work on the 10-month project, which is being called ISMORTASED, or “Identification of Sites for Micro-Hydropower On Rivers Through Applied Satellite and Environmental Data”. The university will use its expertise in geographical information systems (GIS) to develop a method designed to cut costs in identifying potential small hydropower sites. Work on the GIS will be coordinated by the university’s Department of Geography, which said it will develop a prototype system to combine as many as two dozen data sets to evaluate sites. Lessons learned from the project could have global implications, according to Dr. Kevin Tansey of the university’s geography department. Posted by kingstonrenewableenergy on August 27, 2014 in Engineering related, News, hydro related, Other renewable energy news and tagged Andy Baxter, Dr. Kevin Tansey, GIS, High Efficiency Heating UK Ltd, satellite, University of Leicester. Elon Musk (Tesla) we love you! I am not so naive I think this announcement is as philanthropic as it first seems. Tesla are constructing the worlds biggest battery factory and open-sourcing their patents allows other manufacturers to develop EVs using their designs which would lead to orders for Tesla batteries. However, by and large everyone is a winner with this patent release and I cant but smile at his reasons for doing so, a very big smile! We love you Elon Musk! Posted by kingstonrenewableenergy on June 14, 2014 in Engineering related, Other renewable energy news and tagged electric cars, electric vehicles, electromobility, Elon Musk, EV recharge station, Model S, patents, Tesla.